Gender issues continue to be a prominent concern of academics and policy-makers, and increasingly arise in various forms to be debated in the public sphere and popular media. But what exactly do we mean by gender? How can we best understand gender differences? How are current gender relations changing? What new paths are ‘femininity’ and ‘masculinity’ taking? What would it be like to live in a society in which differences of gender were transcended? 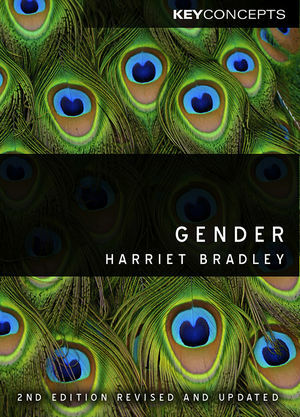 In this new edition of her popular and highly lauded book, Harriet Bradley provides an introduction to the concept of gender and the different theoretical approaches which have developed within gender studies. Utilizing life narratives, she investigates processes of gendering in three important spheres of contemporary social life: production, reproduction and consumption. The book highlights the centrality of gender in everyday life and shows how thinking about gender is influenced by changing political contexts. As well as updating the discussion with the latest scholarship, political concerns and economic data, the new edition pays closer attention to intersectionality and hybrid identities, as well as exploring the complexities of contemporary relations of masculinity and femininity in the light of new feminist activities. This lively and accessible book will be of interest to students across the social sciences, as well as anyone interested in contemporary relations between women and men. Harriet Bradley is emeritus professor of sociology at the University of Bristol. New edition of a popular and highly lauded introduction to gender - the first edition won Choice’s outstanding academic title award. Provides an excellent survey of the key theoretical approaches that have been developed in gender studies, and how they relate to social and political life. Written in an engaging and lively style, using life narratives and life stories to help contextualize the theory. Updated throughout, particularly paying attention to the intricacies of gender relations in the light of recent feminist activities and ‘new roles’ for men.